JAPAN TRAIN & BUS PASSES: What is the Best Pass for You? If heaven had railways and highways, they’re probably run by the Japanese. Japan has one of the most remarkable transportation systems in the world. They’re expansive, extensive, and impressive, bringing undeniable comfort to travelers. It’s easy to dismiss that costs are relatively high, especially by Asian standards, because it operates like clockwork. Buses are efficient, trains are on time, and everything is impeccably clean. Not to mention that transportation companies, both public and private, are wildly competitive, constantly whipping out promos and lowering fares especially for foreign travelers. Almost every transport firm sells their own suite of tourist passes. Every city has its own offers. The Kansai region alone has over a dozen available passes! And it can be insanely confusing! Ever felt like you can’t make a choice because there are too many options? In travel, there are good problems and bad problems. This, my friend, is a good problem. We know this because half of the inquiries we get from our readers planning a Japan trip are about tourist passes. And every time, I have to type what I think and explain over and over again. So I decided to compile all the major travel passes and arrange them per destination in just one post. This way, I have something to refer to every time I’m asked for my recommendations or opinion. But first, some gentle reminders. Japan Tourist Passes: Some RemindersIf visiting OSAKA onlyIf visiting OSAKA + KYOTOIf staying in Osaka and doing a day trip of Arashiyama, Gion and Kiyomizu-deraIf staying in Osaka and doing a day trip of Fushimi Inari Shrine, Gion and Kiyomizu-deraIf you’re spending nights in both Osaka and KyotoIf visiting OSAKA + KOBEIf visiting OSAKA + KYOTO + NARA / KOBEIf visiting OSAKA + KYOTO + NAGOYAIf visiting OSAKA + KYOTO + TOTTORI / OKAYAMAIf visiting OSAKA + KYOTO + HIROSHIMAIf visiting OSAKA + KYOTO + TOKYOIf your entry point is different from your exit pointIf your entry point is the same as your exit pointIf visiting TOKYO onlyIf visiting TOKYO + MT. FUJI + NAGOYA + OSAKA + KYOTOIf visiting TOKYO + MT. FUJIIf visiting TOKYO + SAPPORO / HOKKAIDOIf visiting SAPPORO + Other Hokkaido DestinationsIf visiting NAGOYA onlyIf visiting NAGOYA + SHIRAKAWAGO + TAKAYAMAIf visiting FUKUOKA onlyIf visiting FUKUOKA + HIROSHIMAIf visiting FUKUOKA + NAGASAKI / KUMAMOTO / KITAKYUSHUIf visiting FUKUOKA + Other Cities in KyushuWatch our Latest Video!Important RemindersRelated PostsJapan Tourist Passes: Some RemindersTourist passes are not the be-all and end-all of Japan travel. Most passes are only good if you’re taking multiple journeys within a specified period. In many cases, you might not even need a pass because some attractions lie close to each other and they can already fill a full day’s itinerary. A good example is Tokyo’s Shibuya area, which is where the Meiji Shrine, Yoyogi Park, Harajuku’s Takeshita Dori, and Shibuya crossing are located. You can see all these just by walking. Sometimes, you can get the best deal by NOT buying a pass at all.There are no perfect passes. All passes come with restrictions. Some are only accepted in one or two areas. Some are accepted only by one or a few specific railway companies. Example, in Kansai Region, the JR West Kansai Pass only works on JR lines, while the Kansai Thru Pass can be used for any line in the region except JR.These are merely suggestions. The right pass for your trip depends on your itinerary. The best thing to do is to check each stop, find the nearest stations, and check which pass is the most suitable. But if you don’t have time for that, here are the passes you will most likely need if you’re visiting the most usual attractions.Bring your passport when purchasing or claiming passes. Most passes are only available to foreign tourists so you will need to show your passport for verification.Book these passes in advance. These passes are more expensive when purchased in Japan because they’re really meant for foreign travelers. Fortunately, most of these are available on Klook so I’m also providing links to Klook below.Take note of the validity periods of the passes. You can maximize the pass by building an itinerary around it. You don’t have to use the pass on your first day in Japan. For example, for regional or nationwide passes, start using the pass on the day of your first long-distance travel then make sure that all the other long distance journeys are within the validity period. For example, let’s say you’re using a Nationwide JR Pass and you’re visiting Osaka, Tokyo, and Sapporo over a period of 10 days. If the first 3 days will be within Osaka or Kyoto only, don’t use the JR Pass yet. Use it on Day 4 when you decide to travel to Tokyo or Sapporo.These are just based on what I know. Of course, what I know is limited. (I don’t know everything!) Like I said, I’m creating this post so I have something to point to when I’m asked for my recommendations or opinion. So if you feel like you want to correct or add something, sound off in the comments section. But be nice. I’m pretty sensitive. Hahaha. Jk. Without further ado, here are our tourist pass suggestions! If you will be exploring Osaka only and not any other city, get the OSAKA AMAZING PASS! You can reserve one via Klook.  However, know that there are two types on Klook, depending on where you wish to pick it up. Make sure you book the one that is more convenient for you. ✅ If you want to pick up the pass at Kansai Airport, RESERVE HERE. ✅ If you want to pick it up at Kuromon Market in Namba, RESERVE HERE. Get an OSAKA AMAZING PASS and a HANKYU TOURIST PASS. Get an OSAKA AMAZING PASS and a KEIHAN KYOTO-OSAKA SIGHTSEEING PASS. Use an OSAKA AMAZING PASS for your stay in Osaka, either 1-DAY HANKYU TOURIST PASS or 1-DAY KEIHAN KYOTO-OSAKA SIGHTSEEING PASS on the day you transfer to Kyoto, and a KYOTO CITY SUBWAY & BUS PASS for the rest of your stay in Kyoto. Whether you should buy a Hankyu Tourist Pass or Keihan Sightseeing Pass on the day you move from Osaka to Kyoto depends on what attractions you also want to see that day. Both of these passes can take you to Gion. But if Arashiyama is non-negotiable for you that day, take the Hankyu Tourist Pass. If Fushimi Inari Shrine is the one you wish to visit that day, purchase the Keihan Sightseeing Pass. Osaka Amazing Pass. 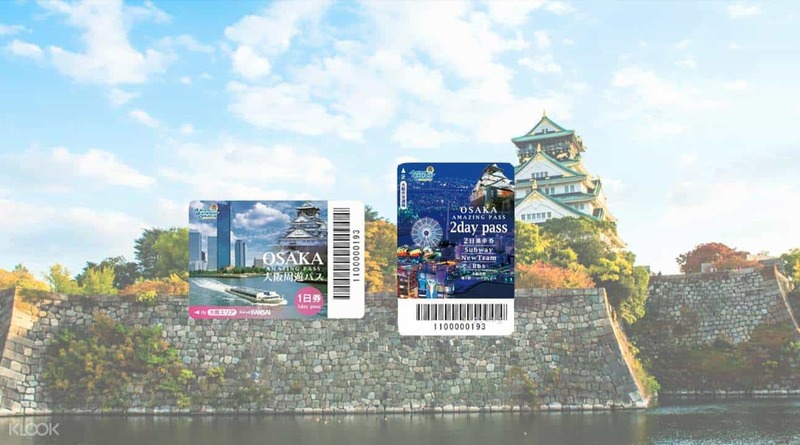 This will give you unlimited access to subway, tramway, and bus systems within Osaka and FREE access to a number of tourist spots including the HEP FIVE Ferris Wheel, Tombori River Cruise, Dotombori Tour, and the Floating Observatory of Umeda Building. ✅ If you want to pick up the pass at Kansai Airport, RESERVE HERE.Kyoto-Osaka Sightseeing Pass. This will enable you unlimited use of the Keihan Line (which also connects Osaka and Kyoto and other tourist sites within the city) and Otokyoyama Cable Line. There are also special discounts at some attractions. ✅ RESERVE THIS PASS!Hankyu Tourist Pass. 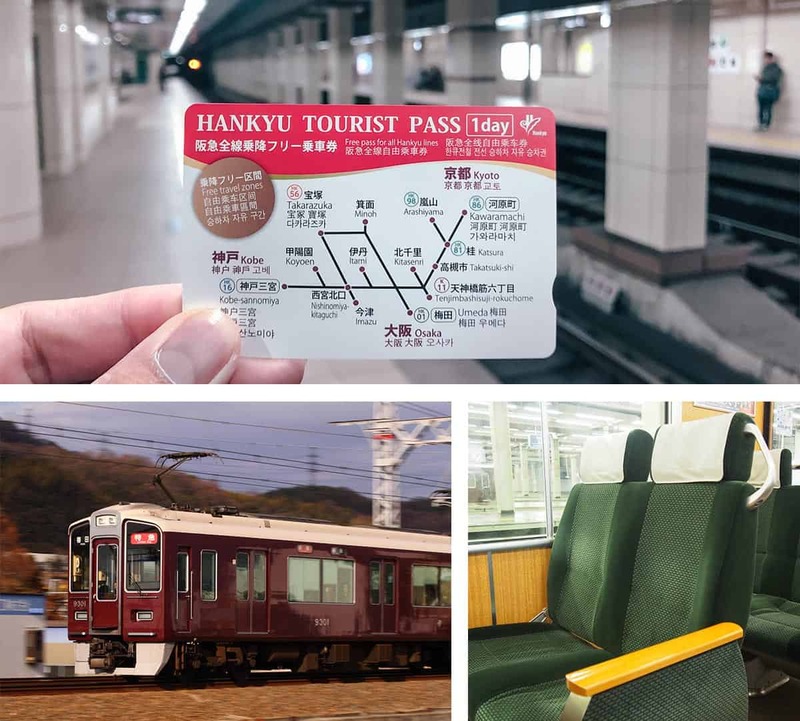 This will grant you unlimited access to Hankyu Railways, which connects Osaka and Kyoto including the famed Arashiyama district, for only ¥800 (¥700 since there is an ongoing promo). You can also purchase online via Klook! ✅ GET YOUR HANKYU TOURIST PASS HERE!Kyoto City Subway and Bus Pass. This allows unlimited access to all subway lines and City Bus lines operating within Kyoto, as well as access to some Kyoto Bus lines and some Keihan Bus lines. Note that this is limited to the Kyoto City area only. This costs ¥900 and ¥1700 for 1-day and 2-day passes respectively. It’s not yet available on Klook but you can purchase one at any subway station in Kyoto. Then just take a bus back to Kansai Airport on your departure day. Get an OSAKA AMAZING PASS for your stay in Osaka and then purchase a HANSHIN TOURIST PASS to explore Kobe for a day. If you’re also visiting Mt. Rokko, get an additional ROKKOSAN TOURIST PASS. The most popular passes are the JR West Kansai Pass and Kansai Thru Pass but I find them a bit too expensive now. I used to purchase them too, but that was before I discovered individual city passes, which are significantly cheaper. Kansai Thru Pass is also a good option, which is available in 2-day and 3-day variants. It’s much like the JR West Kansai Pass in terms of coverage (yep, including a connection to Kansai Airport), but the great thing about it is that you don’t need to use it on CONSECUTIVE DAYS. HOWEVER, the best way to maximize this pass is if you schedule the day trip to Kyoto or Nara on your Arrival or Departure Day, when you’re also using it to get to the airport on the same days. Otherwise, it’s still best to use a combo of Hankyu Tourist Pass and Osaka Amazing Pass. If your trip is only 3 days and you’re allotting one day each for Osaka, Kyoto, and either Nara or Kobe, get a KANSAI THRU PASS. This assumes your entry and exit point is Kansai Airport.If your trip is only 4 days, get a KANSAI THRU PASS and use it on Arrival Day, Nara Day, and Departure Day. On that 1 day that you’re not covered by the Kansai Thru Pass, use a HANKYU TOURIST PASS and visit Kyoto or Kobe. Another option is to visit Kobe or Kyoto on either your first or last day, whichever has more time, and just use that non-covered day to explore Osaka and use an OSAKA AMAZING PASS.If your trip is 5 days or longer and you don’t want to schedule a day trip to another city on your first or last day, get individual city passes. Here are more scenarios for trips longer than five days. Of all these cities, Nara is the most expensive to access. Yet, the majority of its key attractions are concentrated around Nara Park. If the only attraction you’re checking out in Nara is Nara Park and its deer, don’t get a pass for the Nara leg. Just buy a regular ticket to Kintetsu-Nara Station from Osaka. Then use Osaka Amazing Pass for the Osaka leg and either a Hankyu Tourist Pass or Keihan Sightseeing Pass for the Kyoto leg.If you’re visiting several attractions in Nara, get a 2-Day Kintetsu Rail Pass, which already covers Osaka, Nara, and Kyoto. It also covers bus routes within Nara and within Kyoto, so you can also explore these cities more. Then, if you’re exploring more of Osaka in other days, use an Osaka Amazing Pass. 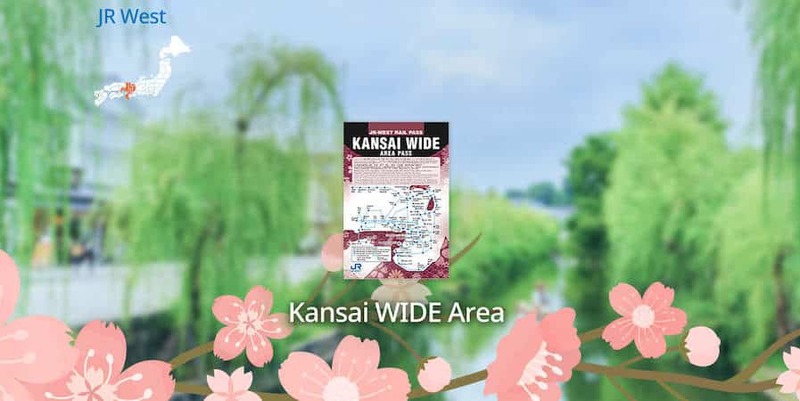 Get the 5-Day JR Kansai WIDE Area Pass. Emphasis on WIDE. Not to be confused with JR Kansai Area Pass. So what’s the difference, the JR WIDE AREA Pass includes everything that the regular Kansai Area Pass covers but with additional areas including Okayama, Takamatsu, and Tottori. It covers the JR Sanyo Main Line, which is the major railway artery to Tottori. If Tottori is part of your itinerary and you’re coming from Kansai Airport, you can order a JR Kansai WIDE AREA Pass via Klook. If your itinerary includes the Kansai Region (Osaka, Kyoto, Nara, Kobe, Himeji) and Hiroshima, the pass to get is JR Kansai Hiroshima Area Pass. It will allow you unlimited travel on select JR trains including non-reserved Sanyo Shinkansen (Shin-Osaka to Hiroshima), non-reserved express trains like Haruka, Thunderbird, Kuroshio, Kounotori and more, and rapid, special rapid and local trains on the JR West network. It also covers JR West Miyajima ferry. This is an awesome deal. The shinkansen ride from Shin-Osaka to Hiroshima alone is already almost ¥10,000, one way. But this pass costs only ¥13,500 and it gives you access to a lot more. ✅ RESERVE A DISCOUNTED PASS! Now this is a tricky one. Osaka/Kyoto and Tokyo are too far apart and there are many ways to approach this, so it boils down to a lot of things. Example: Kansai Airport Entry, Narita exit; or Narita entry, Kansai exit. I recommend not using a pass. The most budget-friendly way is to take an overnight bus. The journey is comfortable anyway and it will allow you to save on a hotel night. If for some reason you can’t take the bus — say, you’re traveling with kids or seniors and you want to travel fast — just fly or take the bullet train (shinkansen). No pass. Narita Airport > Tokyo > Kyoto > Osaka > then travel back to Narita Airport.Kansai Airport > Osaka > Kyoto > Tokyo > then travel back to Kansai Airport. Many of the attractions in Tokyo stand close to each other and they can already fill a full day’s itinerary, so you might not even need a pass. A good example is Tokyo’s Shibuya area, which is where the Meiji Shrine, Yoyogi Park, Harajuku’s Takeshita Dori, and Shibuya crossing are located. You can see all these just by walking. But if you don’t want to walk too much or you plan on visiting a lot of attractions in a day, the most convenient pass is the Tokyo Subway Ticket. The Tokyo Subway Ticket grants you unlimited access to all subway lines (Toei and Tokyo metro, NOT JR). Cost: ¥800 for 24 hours, ¥1200 for 48 hours, and ¥1500 for 72 hours. ✅ BUY UNLIMITED SUBWAY TICKET HERE! Get a Nationwide JR Pass (Whole Japan Rail Pass), which covers the entire JR network throughout the country. JR operates in Tokyo, Nagoya, Osaka, Kyoto, and the areas surrounding Mt. Fuji. The pass is valid for 7 consecutive days. Klook offers the cheapest JR Passes available. If you live in the Philippines, the pass will be delivered to you in 7 days. If you’re planning to explore Tokyo and then see Mt. Fuji for a day or two, these are the passes you might want to consider. My recommendation is to fly from Tokyo to Sapporo. Taking the train takes a lot of time and money. But if you really want to travel by train, purchase a Nationwide JR Pass (Whole Japan Rail Pass), which covers Tokyo and Hokkaido, among others. Without the JR Pass, the total fare (including seat fee) would cost you around ¥26,820 ($240, P12,000). That’s just one way! The 7-Day JR Pass costs only ¥29,110 on Klook. If you live in the Philippines, the pass will be delivered to you in 7 days. If you’re visiting multiple cities in Hokkaido (and no other destination outside the region, the JR Hokkaido Rail Pass is the right pass for you. It will give you unlimited access to the JR Hokkaido network which connects Sapporo, Otaru, Hakodate, Furano, and other cities on the island. It can also be used on select JR buses. But it’s not accepted on Hokkaido Shinkansen. There are four variants available depending on validity duration: 3 consecutive days, 5 consecutive days, 7 consecutive days, and 4 non-consecutive days within 10 days. ✅ CHECK RATES or RESERVE HERE! If you’ll be visiting multiple destinations across Central Japan, consider getting a SHORYUDO BUS PASS, which can get you a lot of savings! Meitetsu offers various Shoryudo bus passes that allow unlimited travel to and from many of the region’s key destinations, including access to the Chubu Centrair International Airport. This means that if you have this pass, you can use it immediately upon your arrival at the airport. There are three courses available but these two are the most popular! 3 Day Pass: Takayama-Shirakawago-Kanazawa Course. This bus pass enables unlimited travel on highway buses to and from the airport, Nagoya, Gifu City, Takayama City, Shirakawa-go and even as far as Kanazawa and Toyama. Price: ¥7500.5 Day Pass: Wide Course. This ticket gives you unlimited access to both highway buses and route buses to and from major attractions like the Central Japan Airport, Gifu City, Gero City, Takayama, Gokayama, Shirakawago, and Shinhotaka. Aside from these, Toyama, Kanazawa, Matsumoto, and Takaoka are also covered. Klook offers discounted rates for these bus passes! ✅ RESERVE A PASS HERE! If you’re staying within Fukuoka City only, get a Fukuoka Tourist City Pass, which will enable you unlimited rides on buses, trains, and subways around the city (except Nishitetsu Train). It costs ¥820 for adults and ¥410 for children. If you plan on exploring multiple destinations with Hiroshima Prefecture and Yamaguchi Prefecture and coming in via Fukuoka, consider the JR Hiroshima Yamaguchi Area Pass. This will enable you to get unlimited access to designated JR trains (including shinkansen) and bus lines within Hiroshima and Yamaguchi. This also covers shinkansen rides to and from Fukuoka (Hakata) and ferry ride to Miyajima. If your trip is only 5 days, this is a good deal. The shinkansen ride from Hakata Station (Fukuoka) to Hiroshima alone is already over ¥8000, one way. But this pass costs only ¥11,000 and it gives you much more. Purchase a JR Northern Kyushu Rail Pass, which covers the northern cities of the island. Available in 3-day and 5-day versions. Klook sells this pass on their website too. Make sure to choose NORTH Kyushu Pass. Emphasis on Northern. They also sell SOUTH and ALL KYUSHU passes on the same page. If you’re planning on setting foot in multiple cities throughout Kyushu Island, the pass to consider purchasing is the ALL KYUSHU RAIL PASS, which gives you unlimited access to the JR rail network within the island. Available in 3-day and 5-day versions. Klook sells this pass on their website but make sure to pick the JR Kyushu Pass (without the North or South qualifier). There are three main types by covered area: North, South, and the ALL KYUSHU PASS, which is also called simply KYUSHU PASS (dropping the ALL tag). They’re all sold on the same page on Klook so be careful not to pick the wrong pass.